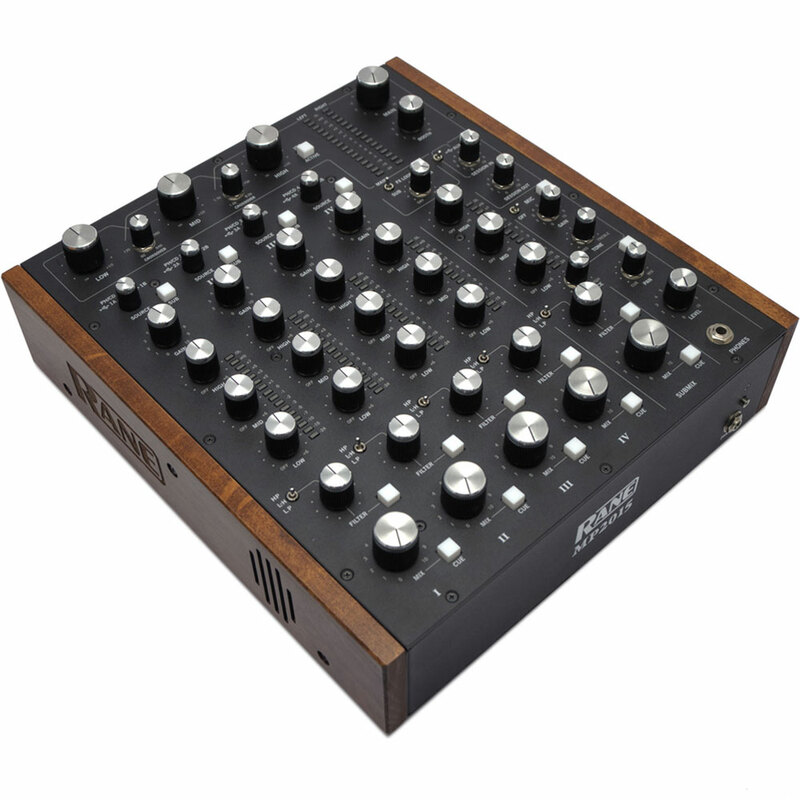 The new Rane MP2015 sets a new standard for professional rotary DJ mixers. Compatible with both Native Instruments Traktor & Serato software. 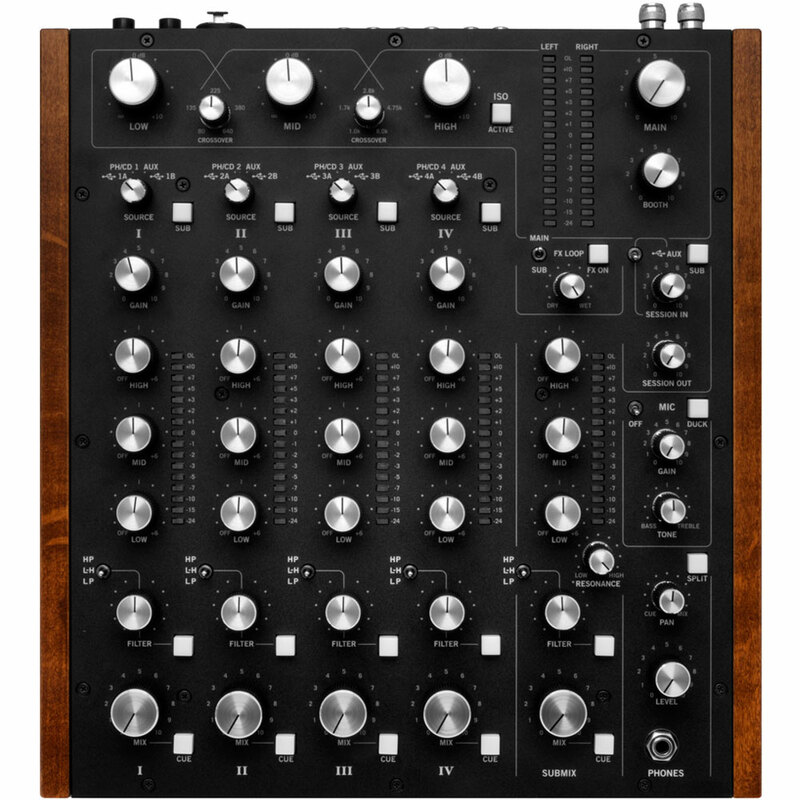 Born from a legacy of rotary club mixers, Rane describe the MP2015 as the best mixer they have ever produced, not only in terms of the sound quality and features, but also the feel, reliability and durability. 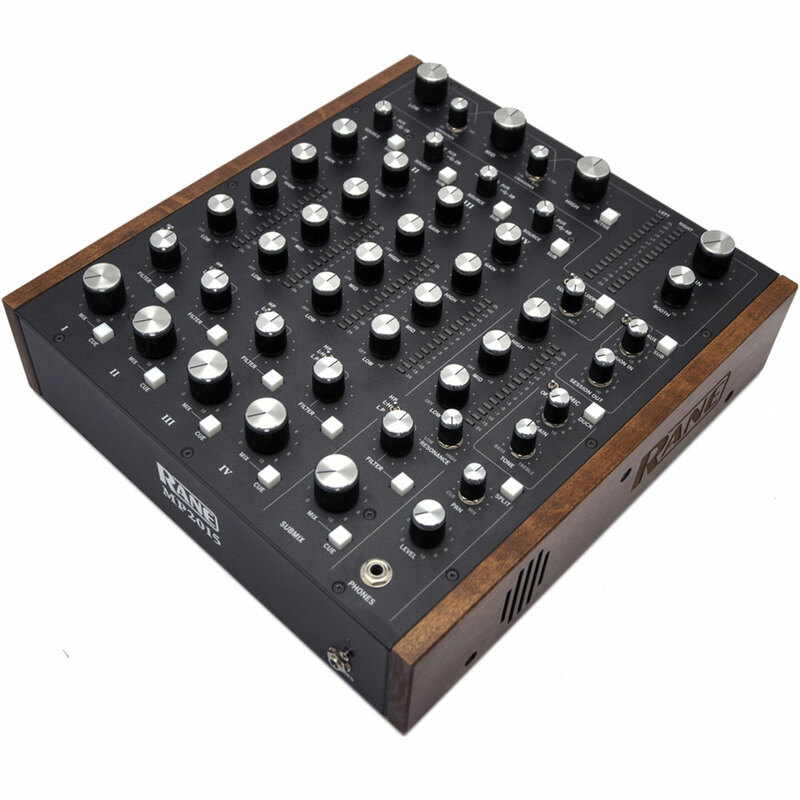 Rane have drawn on over 40 years of experience designing rotary mixers and have sought input form the worlds leading techno and house DJs. 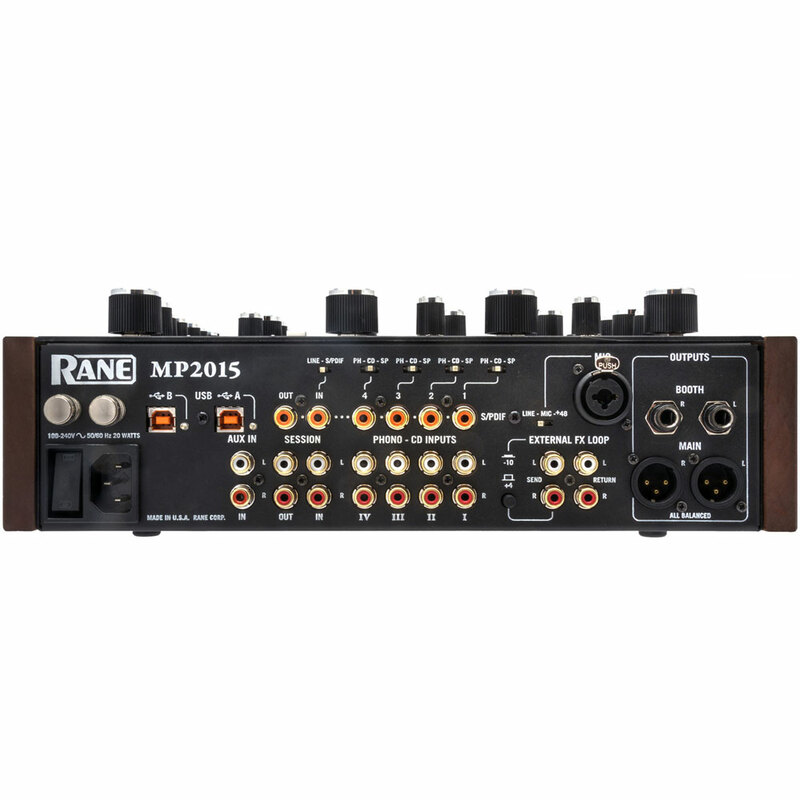 The MP2015 is designed for the playback of high resolution digital audio and each channel offers an S/Pdif input as well as analogue inputs, so you can connect digital sources like CDJs safe in the knowledge that the signal is not being passed through any AD/DA convertors unnecessarily. That said, the MP2015 employs convertors of the highest quality to deliver pristine audio with an excellent linear phase response and minimal distortion. The MP2015 features a 24dB/octave sweep filter on all 4 input channels as well as the submix channel. The filter is switchable between low pass, high pass and a low/high pass combo. The single resonance knob controls the shape of all 5 filters simultaneously. Each channel also employs a 3 band EQ with selectable crossover points. The crossover points can be assigned in the user control panel when the MP2015 is connected to a computer. The MP2015 also has a global 3 band isolater EQ with continually adjustable low-mid and mid-high crossover points. The isolator is a serious sound shaping tool which can be used to sculpt the sound of your tracks. The unique submix channel allows you to group any of the input channels by pressing the SUB button at the top of the channel strip. Multiple channels can then be controlled using one set of controls. The submix channel can also be used as a 5th input channel via the session input. 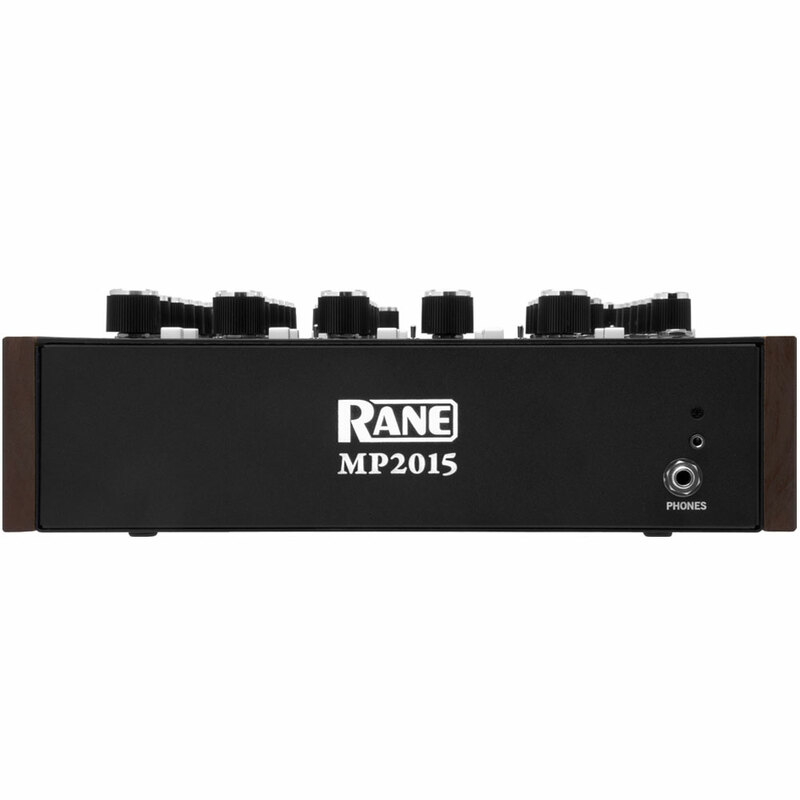 The MP2015 also features Rane's dual USB system which makes DJ handovers a breeze and also allows you to use two separate applications on your computer simultaneously. Input and output converters support sample rates of 44.1 kHz, 48 kHz, or 96 kHz. Dynamic range of 128 dB with ultra low jitter and 16:1 SRC conversion range. USB Audio Seven stereo record, Five stereo playback, Each Port, 24-bit PCM @ 44.1 kHz, 48 kHz or 96 kHz. Class-compliant, no driver needed for Mac OSX (10.7 to 10.10). ASIO driver provided for Windows 7-SP1, Windows 8 and 8.1. FlexFX Stereo unbalanced ¼" TS (tip-sleeve) jacks, Send and Return. Mic Input Balanced ¼" TRS & XLR combo jack with Mic / Line switch and +48V Phantom Power switch. FlexFX Loop Send is unbalanced RCA jacks. Internal Universal Power Supply 100 to 240 VAC, Max 20 W, 50 Hz to 60 Hz. Weight: 5.7 kg or 12.6 lb. Weight: 7 kg or 15 lb.